JNV Selection Test for admission to Class­VI in JNVs for the academic session 2018-­19 will be held as per following schedule. The last date for uploading online application in the office of Common Ser vice Centre is 25th November 2017. On Sunday, the_7th J anuar y, 2018 at 11.30 A.M. in the State of Andhra Pradesh, Assam, Arunachal Pradesh (except Dibang Valley & Tawang Districts), Bihar, Chhattisgarh, Goa, Gujarat, Haryana, Himachal Pradesh (except Chamba, Kinnaur, Mandi, Sirmour, Kullu, Lahaul & Spiti and Shimla Districts), Jharkhand, Kerala, Karnataka, Madhya Pradesh, Maharashtra, Manipur, Orissa, Punjab, Rajasthan, Tripura, Telangana, Uttar Pradesh, & West Bengal (except Darjeeling), Union Territories of Andaman & Nicobar Islands, Chandigarh, Dadar & Nagar Haveli, Daman & Diu, Delhi, Lakshadweep and Pudducherry. On Sunday, the 8th Apr il, 2018 at 11.30 A.M. in the States of Jammu and Kashmir (except Leh, Kargil & Doda), Meghalaya, Mizoram, Nagaland, Sikkim, Uttrakhand and in the Districts of Dibang Valley and Tawang of Arunachal Pradesh, in the Districts of Chamba, Kullu, Mandi, Sirmour of Himachal Pradesh, in the District of Darjeeling of West Bengal. On Satur day, the 9th J une, 2018 at 11.30 A.M. in the Districts of Leh, Kargil & Doda of J&K State and in the District of Kinnaur, Shimla and Lahaul & Spiti of Himachal Pradesh State. 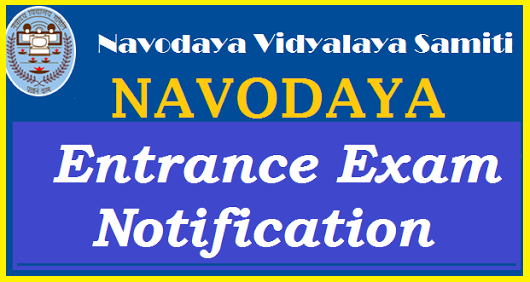 Only the candidates from the district concerned where the Jawahar Navodaya Vidyalaya has been opened are eligible to apply for admission. However, the district where JNV is opened and is bifurcated at a later date, the old boundaries of the district are considered for the purpose of eligibility for admission into JNVST, in case a new Vidyalaya has not started in newly bifurcated district as yet. A candidate seeking admission must not have been bor n before 01­05­2005 and after 30­04­2009. This will apply to candidates of all categories, including those who belong to the Scheduled Castes (SCs) and Scheduled Tribes (STs). In case of doubt of overage candidate seeking admission, they may be referred to the Medical Board for confirmation of the age. The decision of the Medical Board will be final. A candidate appearing for the selection test must be studying in Class­V for the whole of the academic session 2017­18 in a Government/Government aided or other recognized schools or ‘B’ certificate competency course of National Institute of Open Schooling in the same district where he/she is seeking admission. A school will be deemed recognized if it is declared so by the Government or by any other agency authorized on behalf of Government. Schools where students have obtained ‘B’ certificate under National Institute of Open Schooling should have accreditation of NIOS. A candidate must successfully complete Class­V in the session 2017­18. Actual admission in Class­VI for the session 2018­19 will be subject to this condition. A Candidate claiming admission under rural quota must have studied and passed classes III, IV and V from a Govt. / Govt. aided / recognized school spending one full academic session each year in a school located in rural area. Magistrate of the District indicating that the child has been residing in rural areas for the last three years. Students studying under the above scheme from urban and notified areas are not eligible for obtaining seat in rural quota. A Candidate who has not been promoted and admitted to Class­V before 15th September, 2017 is not eligible to apply. No candidate is eligible to appear in the selection test second time, under any circumstances.